Check out this great deal we will have at Weis starting Thursday, 5/18. 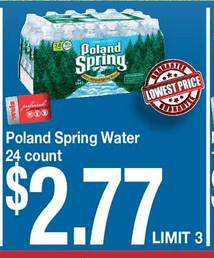 Poland Spring Water 24 ct will be on sale for just $2.77 (limit 3)! 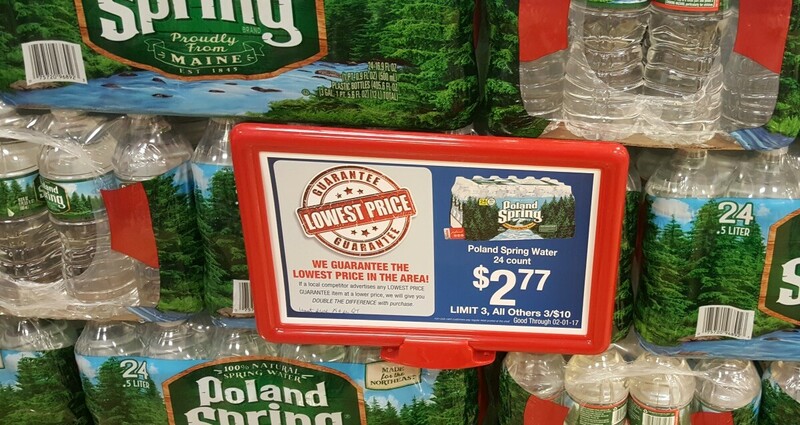 We still have this $0.50/1 Poland Spring Brand 100% Natural Spring Water Multi Pack (12pack or larger), 4/9 RP (R), exp. 05/20/2017 making these just $1.77 or $0.07 per bottle! Great stock up price! Sure Deodorant Just $0.99 at Walgreens!